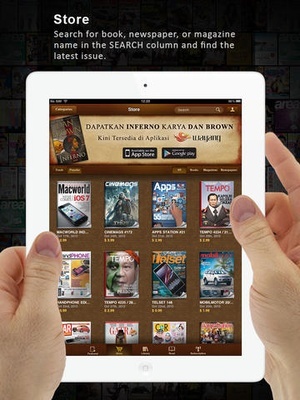 Get Discounts For Your Favorite Books and Magazines, Subscribe Get complete detail on www.wayang.co.id or download Wayang eReader App, Today! Don't Miss a Single Issue! 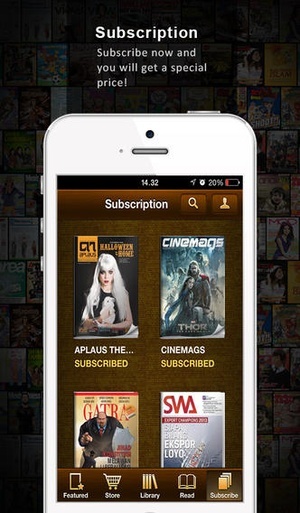 Subscribe now and you get discounts up to 30% off your favorite magazine! 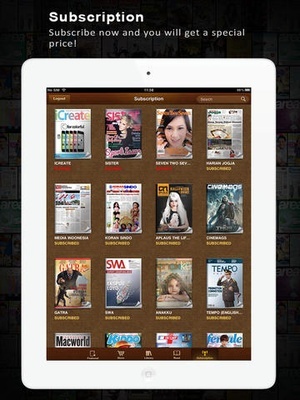 Available on Cinemags, Macworld Indonesia, Apps Station, Gadget +, Tempo, Gatra, Cosmopolitan, Cosmo Girl, Fitness For Men, Bazaar, Esquire, Cars, Food Housekeeping, Game Station, Panorama, Hello!, Bola, Bola Vaganza, and more... Wayang eReader is the best iPad apps for reading magazines, books, comics and newspapers. We offer thousands of collections of contents in various categories. 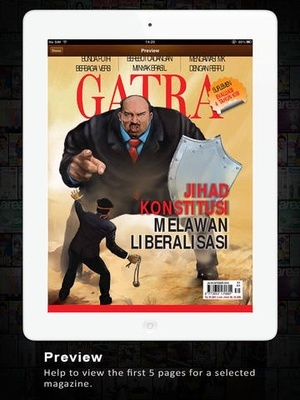 You can now buy and download various contents by local and international printed media publishers such as Gramedia, Megindo, Gatra, Balai Pustaka, Creme, Tempo, Mizan, and so on. 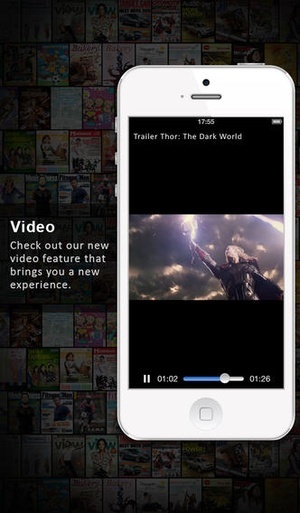 We have great features such as Great User Interface Bookmarking Easy Navigation with Thumbnails View Content Previewing Before Buying Categorized Contents Social Media Sharing Quick Search in Store and Library We have won several prestigious awards such as 1. 2011 for Best Application for ECommerce Retail and Financial 2. Top Asia 50 Apps 3. 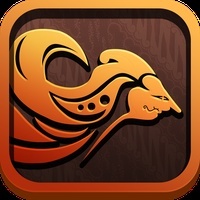 Nominators for Best Mobile Application Award in 2011 We are constantly in the Top Grossing Apps and Top Free Apps list in iTunes App Store. When you make a purchase, you don't need to worry if you Failed to download due to lost connections Lost your collections when you restore the iPad or buy a new one Accidentally deleted an item You may redownload all of your purchased books for free without any additional charges or fees as long as you use the same iTunes account with which you make the purchase before. We are supporting National Ministry of Education in Indonesia in distributing textbooks for free in order to increase the quality of education. 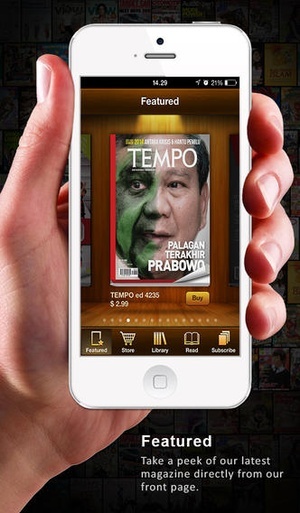 Contact our marketing at marketing@wayangforce.com for more information about our apps. Contact our customer support at support@wayangforce.com for troubleshooting and to report problems. 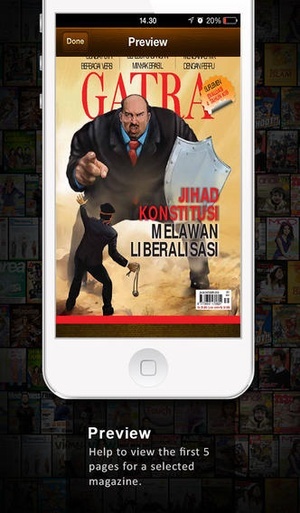 Check these links to find your download for Wayang Force Book and Magazine Reader for & iOS or for your device iPod TouchiPhoneiPad. 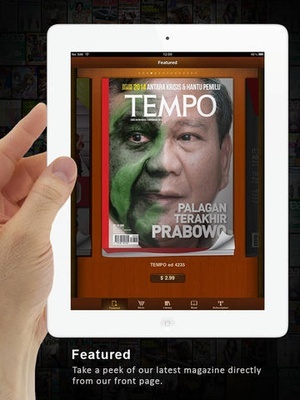 The app Wayang Force Book and Magazine Reader is compatible with te following devices.